Based on a simulated machine it can be used to teach Lean manufacturing across a wide range of industries for example, CNC machining, packaging, food, plastics, electronics, printing, etc. The machine simulates mechanical, pneumatic, colour and software alterations and also the manufacture of a "first off" with quality inspection. The aim of the training is to demonstrate the principles of SMED and allow the trainees to practice the SMED methodology on this simulation before starting actual implementation on their own equipment. This is an ideal practical training simulation to demonstrate the application of problem solving techniques such as fishbone diagrams, brainstorming and six sigma / DOE. 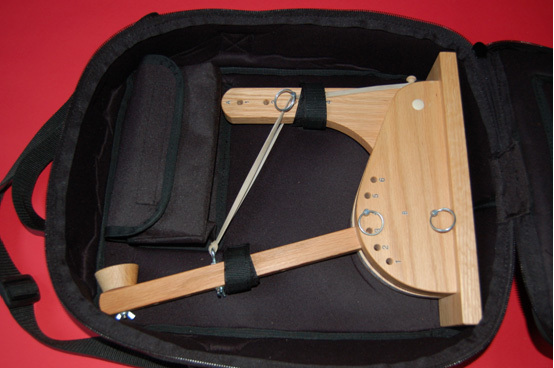 It is used as the basis of exercises to understand the process, control variation and deliver improved performance. 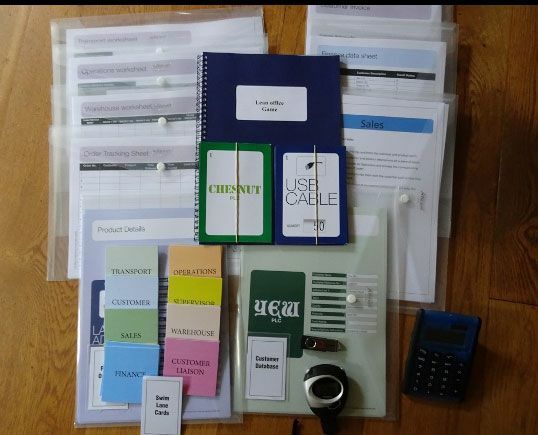 This is a hands on simulation which is ideal for use as a practical business training game for participants to understand and apply the principles of 5S. 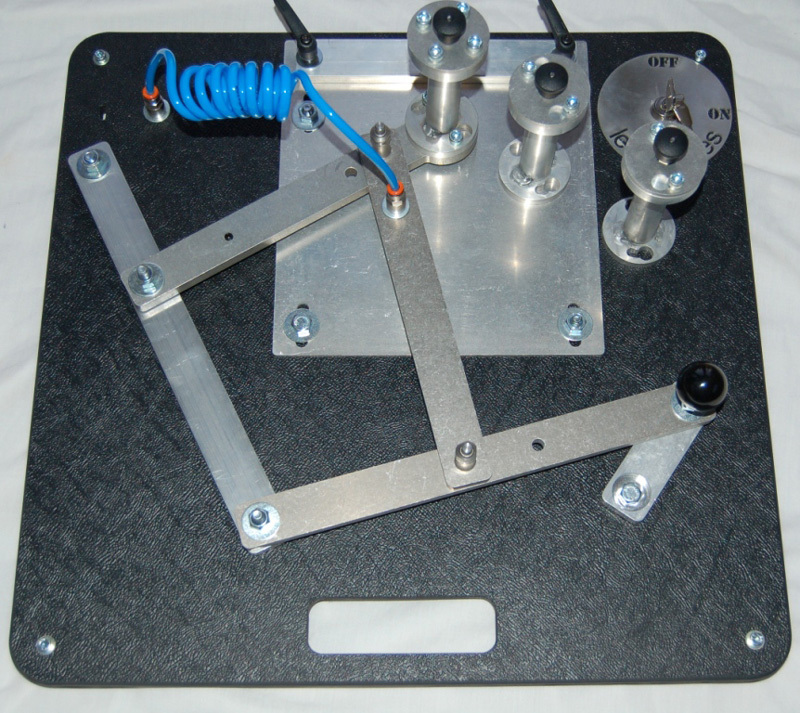 The game has successfully been used in both service and manufacturing environments. 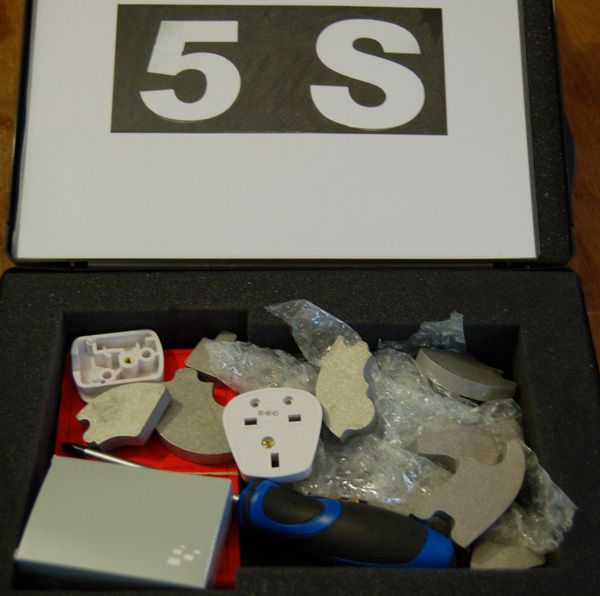 If you are working with larger groups, additional dis-organised boxes are available at £95 + vat. 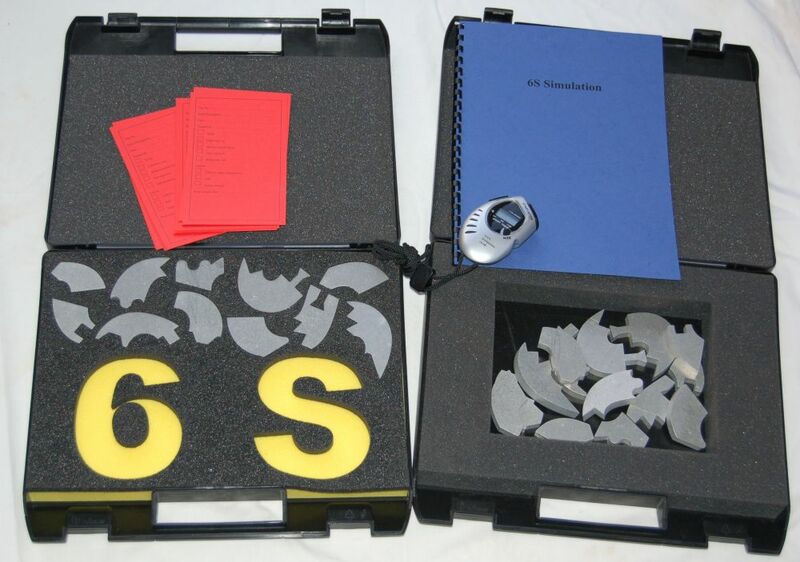 The full standard 5S Game is ideal for demonstration or training with a group and is normally run with 4 participants, with up to 20 observers. 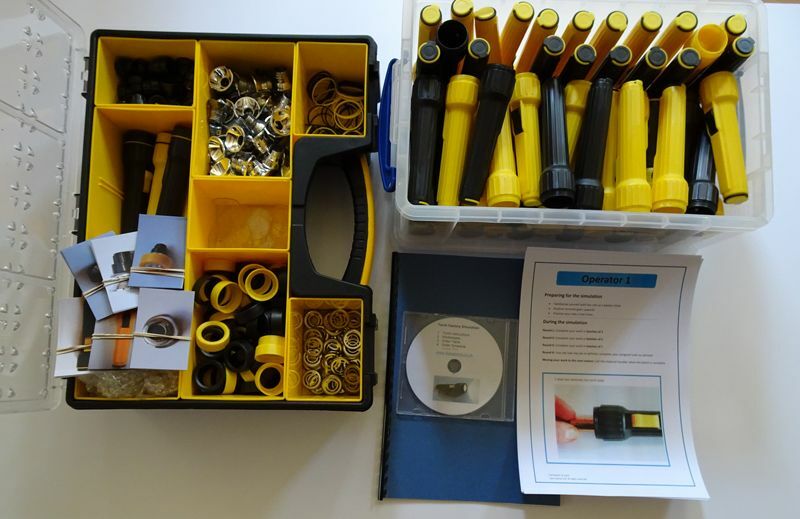 However if you would like all trainees to experience the hands on activity we would recommend one additional disorganised box for every 3 trainees. 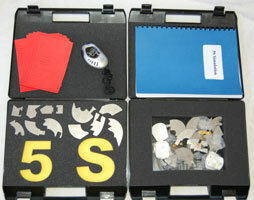 If you are working with larger groups, additional dis-organised boxes are available at £95 + vat. 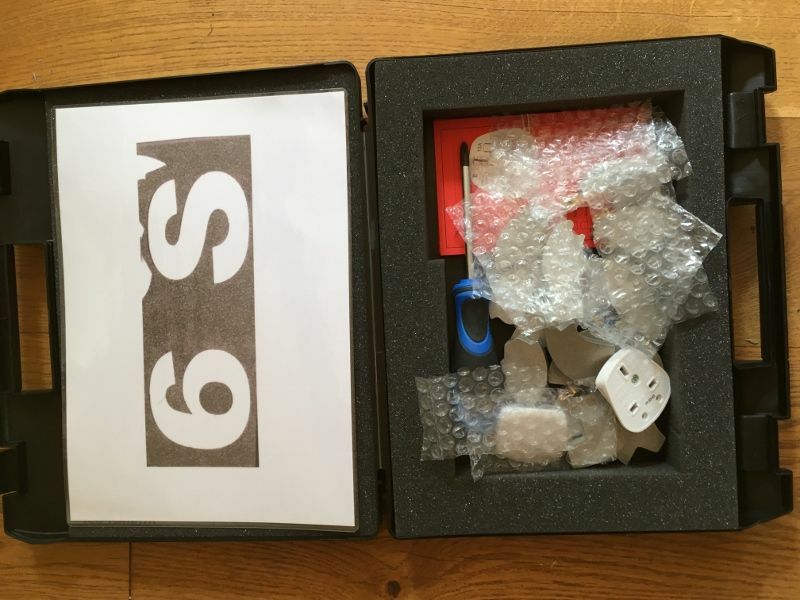 The full standard 6S Game is ideal for demonstration or training with a group and is normally run with 4 participants, with up to 20 observers. 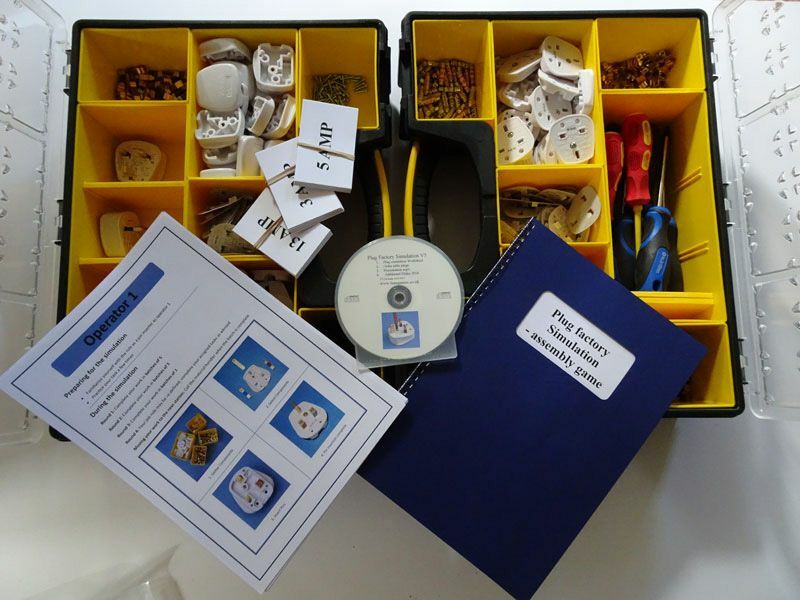 However if you would like all trainees to experience the hands on activity we would recommend one additional disorganised box for every 3 trainees.